When I am in the mood to bake I often find myself looking for sweet quick breads. Many loaves have baked up, but this one, oh this one. Eggnog and cranberries are up front and center, which is what I love about this recipe. It is strong in flavor and the texture is wonderful. This has to be one of the best sweet breads I have ever made. The texture, the taste, everything about it was absolutely fantastic. 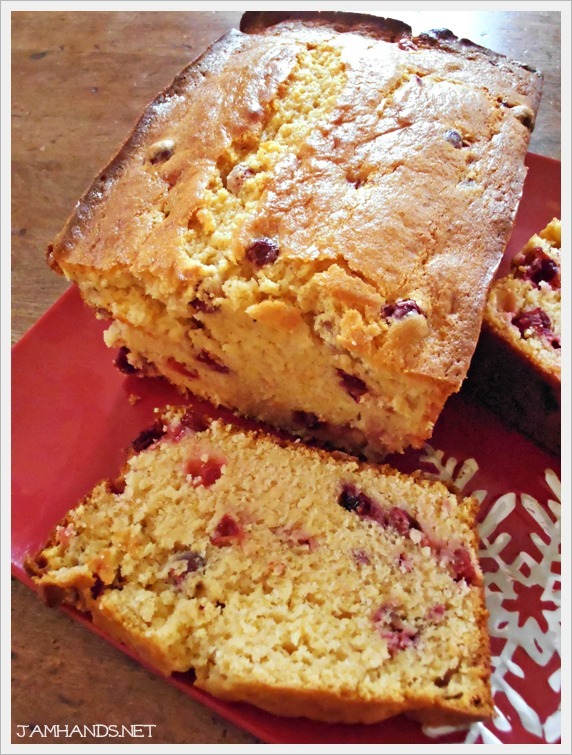 To make a Cranberry Eggnog Trifle using this recipe: Cube the cranberry eggnog bread. For the filling I combined a package of instant vanilla pudding with eggnog (however much it calls for on the package, typically it is 2 cups.) After that has set for a few minutes, combine it with a container of cool whip. Mix with an electric hand mixer then layer in a trifle dish. Fantastic. Many thanks to the wonderful blog, Your Cup of Cake for this recipe. I skipped the glaze only because I used every last drop of eggnog in the bread itself. Enjoy! Preheat oven to 350-f degrees and grease a large loaf pan. Cream sugar, pudding mix and butter together until smooth. Add eggs, rum extract and vanilla extract. Stir. Add eggnog & stir. In a separate bowl, sift flour, baking powder, salt and nutmeg together. Add to butter/eggnog mixture and mix until just combined. 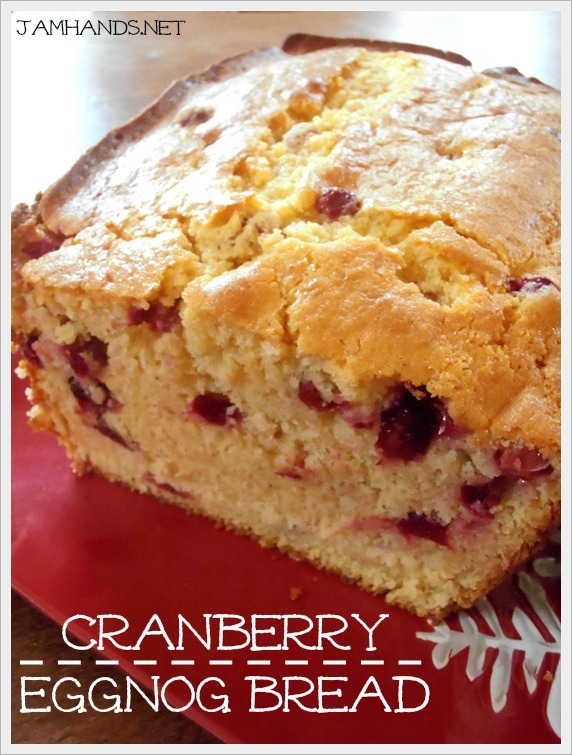 Stir in cranberries and fill loaf pan. Batter will be thick. Bake for 50-80 minutes or until an inserted knife comes out clean from the center of the bread. Let cool and then remove from pan. Optional Glaze: Whisk eggnog and powdered sugar together and pour over bread! You can use a tooth pick to poke the bread and pour the glaze over the hot bread to let it soak into the cake. This sounds so good..I am thinking of adding a bit of orange zest. I would like to know how long to bake and the temp., if making in the small foil baby bread tins.? Apologies for missing your comment. I don't know offhand as I don't make baked goods in those types of pans. I would try looking up a similar recipe online and using it as a guide for temperature and time. Check your loaves as they bake. This looks amazing! Putting it on the baking list for this month. Looks super delicious! I have cranberries in my freezer and can’t wait to try this bread.